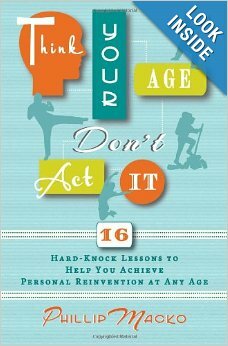 ORDER DIRECT AND RECEIVE AN AUTOGRAPHED COPY BY AUTHOR PHILLIP MACKO If you’re facing a major career or life change, encountering a shift in the familiar, or simply desiring something more from your life, Think Your Age, Don’t Act It offers 16 hard-knock lessons in self-reinvention to help you ride the wave and come out on top at any age. Author Phillip Macko has successfully recreated his career across three distinctly different industries, survived the pain of divorce, and overcome an 18-year dependence on prescription pain medications. He has culled these experiences to succinctly reveal key insights to help navigate the minefield of change and teach you: Why resolutions have a 78% fail rate and how to improve your success to 76%+ How to identify and avoid the pitfalls of repetitive compulsion The science of relational memory and the power of self-talk How to recognize and reduce the effects of stress How to better engage intuition, instinct, and inspiration Through stories, analogies, and observations, coupled with scientific evidence and case studies, Think Your Age, Don’t Act It provides life-changing revelations to help you ditch negative conditioning, embrace new opportunities, and dare to let your brilliance shine. 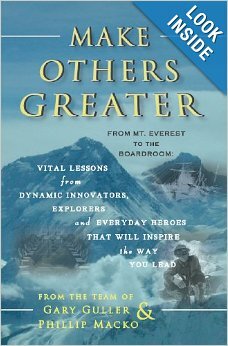 ORDER DIRECT AND RECEIVE AN AUTOGRAPHED COPY SIGNED BY GARY GULLER AND PHILLIP MACKO Make Others Greater - From Mt. Everest to the Boardroom: Vital Lessons from Dynamic Innovators, Explorers and Everyday Heroes that Will Inspire the Way You Lead “Too damned fast. We’re falling too damn fast. No choice now. We will stop. And I will die.” Thus begins the wild and wonderful journey that is Make Others Greater. After his near-death experience at Pico de Orizaba, a climb that claimed the life of his best friend, Gary Guller made a decision to keep climbing. His decision was not without cost; to pursue climbing again meant the amputation of his left arm. In the years to follow, Gary would negotiate with armed Maoist rebels, stand atop several of the world’s highest peaks, complete an Ironman competition, and compete in the Marathon de Sables—the world’s toughest footrace. 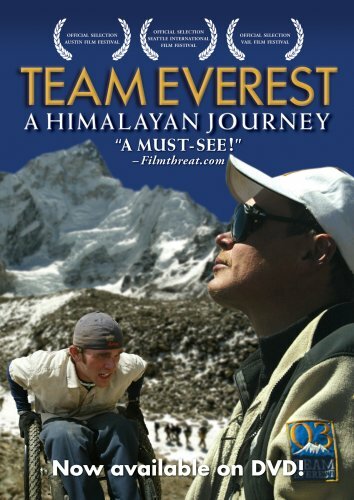 He would also lead the largest group of persons with disabilities to ever reach base camp. Gary would later become the first person with one arm to Summit Mt. Everest, the highest mountain in the world. From Sir Ernest Shackleton to Circuit City, from IBM to Caravaggio, Make Others Greater combines Gary’s incredible stories with those of leaders and businesses around the world and throughout time to deliver a commanding and inspirational message of resilience and empowerment. Survival alone doesn’t define us. It’s what we learn from the experience that does. We all climb our own Everest. Make Others Greater illuminates the path onward and upward. Gary Guller- Expedition leader for the Team Everest expedition. He is the first person with one arm to summit Mount Everest and now is a inspirational and motivational speaker.